goodbye 2010, hello 2011 (and giveaway). …and just like memories, there are pages upon pages of 2010 layouts that I would love to share, but I pretty much posted 75% of them on this blog (or in various galleries or in a handful of printed magazines). TIME FOR A LONG AWAITED GIVEAWAY. Woot, woot! Do any of you have crafty goals this upcoming year? If not crafty goals, how about other resolutions? If so, share in a comment. Winner gets a free grab bag filled with goodies selected from Our Paper Place worth $25! If we have more than 25 people playing, I’ll up the grab bag to $50 worth of FUN, NEW product! Leave a comment telling me what your crafty goals are this upcoming year (or other resolutions) by Sunday, January 2nd by 11:59pm. Share the giveaway somewhere else online (Facebook, Twitter, forum, blog, etc.) for 5x the chance to win! Remember, the more people playing, the bigger the prize! Good luck, and I can’t wait to read your comments! Anyway, goodbye to 2010. It was wonderful while it lasted. Now, I’ve got my eye on 2011. I’ve got my fingers crossed that 2011 will be just as good to me. Seriously… 2011 in just a few days? I can’t believe it. I’m excited for next year, but as I always say, “take each day in stride.” January 1st starts the fitness challenge. MUAHAHA. Are you ready? Glad you finally have time to post again. I’ll be expecting at least one layout and one post a week on ROL. what fitness challenge?! well, whatever challenge it is… you are so going down because let’s just face it… i always win! muhaha! Sounds like a loaded year of fun. Congrats on all of your achievements!!! Can’t wait to see what you have in store for 2011. In 2011, I plan on creating more mini albums. I can’t seem to get them done. Since scrapbooking is my “therapy” (Some quiet time in the hectic life of a working mom) I am planning on having some “me” time aka srapping at least twice a week!!!! oh my goodness — you’re not too far from CHA at all!!! GO GO GO if you can. it’s tons of fun! and WOW you are a super productive scrapper. congrats on getting that much done. lastly, you should give it a try, you never know when you’ll make a team. 😉 HUGS! I always try and set some scrappy goals for myself – this year I am really going to try and learn new techniques and try and be more creative. I will lose 100 lbs by this time next year. One thing I definitely want to do next year is to tell/document my story more through scrapbooking. Thank you for being a constant source of inspiration. Have a wicked 2011!! I love following your blog, and I wish you live “here” or I live “there” 🙂 so I could visit your store. I’m receiving 2011 17 pounds lighter, and one of my goals for this next year is to loose 20 more (at least). I decided to start exercising before January 1, and it’s working!!! My scrappy goals… I want to try new things, create out of my confort zone. I just registered to a painting class!! I want to enjoy what I do and think less of what people may think or say about my layouts or projects. I’m going to start a little business among my friends from Spanish speaking countries. Hope 2011 brings you more amazinf and exiting things!!! you can do Sarah, you are awesome, I was reading everything you did and it’s awesome how much you’ve accomplished. I’m teaching a 52 week journal called, “Me in 52 weeks” and it’s so exciting, I can’t stand it! Sooooo…….you can do it! Hopefully I can participate, although I don’t live in the US. My scrapping goal for the next year is to scrap more everyday stuff. I haven’t done much of that this year. Love your montage and what wonderful memories. My word for 2011 is abundance – I want to remember and appreciate everyday the abundance in my life. I will link to your blog on my blog. Happy New Year!!!!!!! My goals for 2011 are fairly simple I would like to do a layout a week. Also I want to lose some weight ugghhhhh. I remember hanginmg out with you at Scrafest in Kitchener at Kiki’s booth Sarah, I had a blast hanging with you. Happy New Year to you and yours….May God continue to bless you in the coming year!!! I haven’t thought about any scrapbooking/papercrafting resolutions yet (I usually don’t do those), but I think I can say that I want to continiue with one specific choice I’ve made this year. I’ve made the decision to only make cards that I really like, not just slap something together because I want to participate in a challenge etc. I don’t like throwing cards away because I don’t like them after they’re made, nor do I like giving a card away that I’m not happy with. Love your collage! My goals include more physical activity – have started using Wii fit and it is quite fun – and more freedom in my scrapping. I am such a scientific person with straight lines and symmetry. I want to try and be more artistic. Happy New Year! My resolutions are as follows: lose weight for my health, scrapbook more, find ways to ease my anxiety and stress, read more books (always a challenge due to time! ), making new friends! What an awesome collage of photos!! I am awed and amazed!!! And I am so happy for you and all the wonderful times you’ve had in 2010 … may 2011 be even better. 🙂 I plan to make more handmade gifts this year (told my hubby just yesterday that I need to start right now! lol), including layouts for my sis and sis-in-law who have no time with 5 and 4 kids respectively. Happy New Year! My 2011 scrappy goals are to have my house remodel album done and to finish the little stack of pictures I have left. 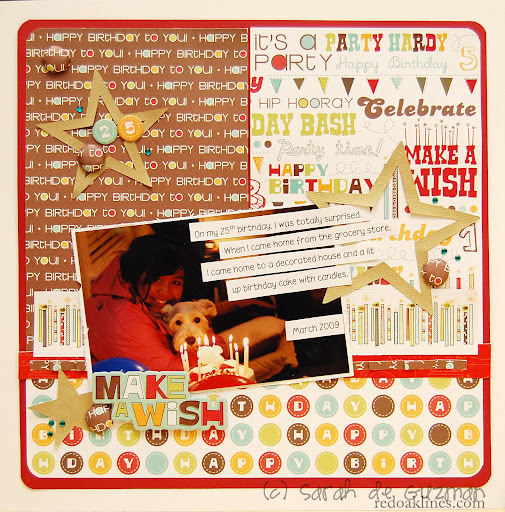 Then, my biggest goal is to take a huge dive into digital scrapbooking! Good luck with all you do in 2011 and thanks for the giveaway. I’m linking to the bottom of my 10 in 2010 post. I think my biggest goal this year is to get caught up with all my scrap booking! I am so very far behind. (and I am so lifting some of your layouts! Love them! Other resolutions: healthier me, more organized me, and living life for now, and not for tomorrow! Well, I have been sick or super busy the last few months, so I haven’t scrapped more than 2 or 3 pages (usually I do about 30 per month)! So, my goal is simple, find more time to scrap! Thanks for a chance to win Sarah! And, thanks for sharing the cute layouts! 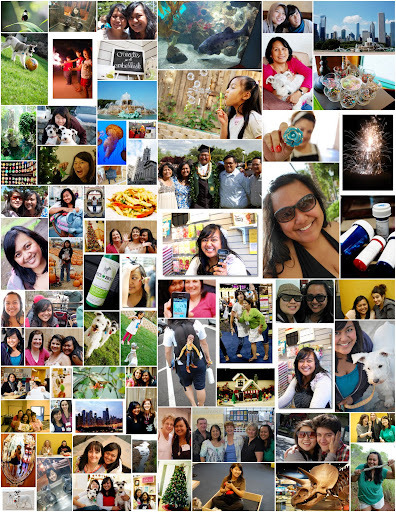 My goal for 2011 is to be in more of the photos, and to take more photos of the whole family together!!! Thanks for the giveaway. I’m linking it to my fb account too! 5x the chance to win? Awesome! 1. Create two layouts per week. I only got 50 done this year and I feel I could’ve done more. 2. Make my journaling a priority. I always seem to be looking for a place to put it at the end of my creative process when it’s really the most important part of the page! I want to change that. One major goal for this year is to get all of my pages for the past 5 yrs. into their albums. It’s a huge undertaking, but I keep thinking what if something happens. The rest is to have fun scrapping. My goals for 2011 is to decorate my house. It sounds silly but we bought the house 2 years ago and I still have no dining room chandelier or pictures on the wall. My goal is to do 200 layouts this year, but more realistically, to do at least SOMETHING scrap-related every single day! Happy 2011, Sarah! I didn’t even realize it was New years eve! craziness. But my crafty resolution is to finish this darned vest I am crocheting. it’s taken me MONTHS. mostly because I just started crocheting, and I had to take it apart like 3 times! Oh, and I want to try knitting. & embossing. 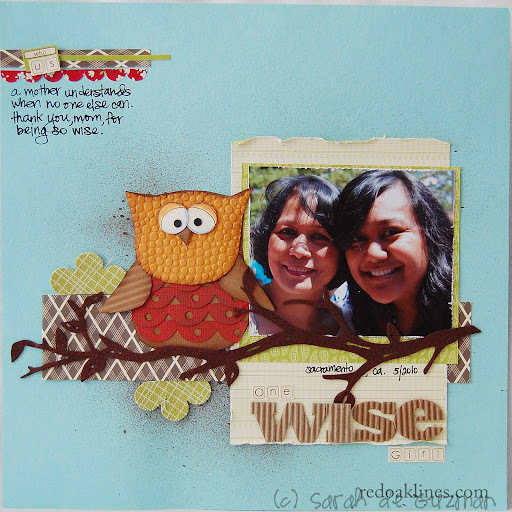 & cardmaking. & that is all. (for now) happy new year! 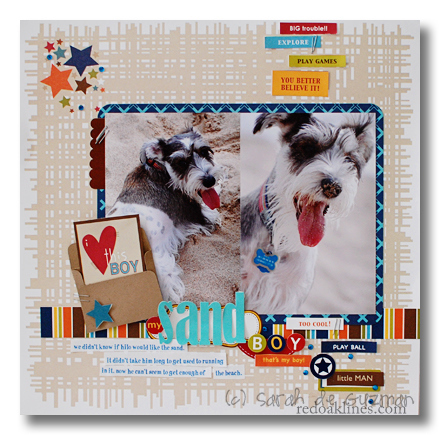 LOVE your fun photo collage and the fabulous layouts! My crafty goals next year are to schedule more time to create rather than just grabbing it when I can. I also want to use more of what I have. Which goes along with my bigger life goal of sticking to a strict budget. Happy New Years! i can’t believe it’s New Year’s Eve already! My scrappy goal for 2011 is to actually scrap more! 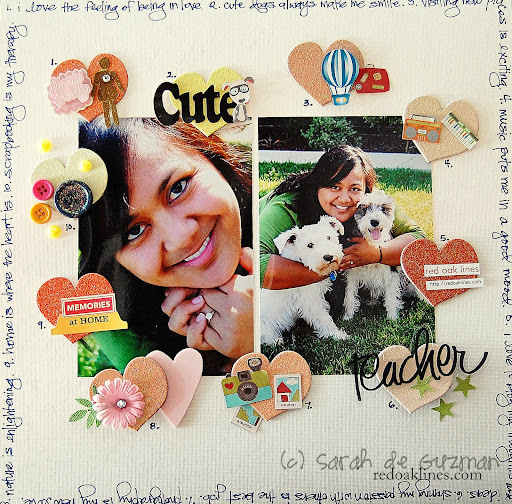 I’m planning on doing 1 challenge a week from the book 52 more Scrapbooking Challenges. I can’t wait to begin! Definitely move my body more and be more diligent with paperwork and updating our checkbook regularly. Scrapwise, I want to track how many pages I get done. I’m most competitive with myself so I’m hoping that 2011 will be scrapfully (is that even a word?) productive. I hope to hit 300 pages! I feel so lucky to have met you this year. Goals??? Well 20 lbs would be nice but I think the goal will be just to take better care of myself. In that would be making time for me to do what I love, scrapping. Happy New Years Sarah.. love the collage of memories..hears to a wonderful 2011.. one of my goals for 2011 is to spend more time with family.. I will always have crafting in my soul but time flies with the ones that truely matter.. so this year it is all about FAMILY!! Hey Sarah, thanks for sharing your 2010 photos. My new year’s resolution is to start scrapping more. I also signed up for an art journal on-line class. So happy that your store is doing well. Happy New Year and thanks for the giveaway. 52… Easy peasy! You’ll do it! Happy 2011! Hope it’s a great year for you! Oh and I LOVE that collage!! How did you put it together?! My goal for 2011 is to start posting more of my projects on my blog this year. I always make lots of cards and layouts, but I never seem to be able to remember to post them on my blog! Happy New Year to all. Enjoy your blog and will make it to your new store next year. My goal is to change the way I scrap…something different as I usually scrap the same way.Love your goal, may try it too. My goal is too use all my scrapping supplies (or give as RAKs) so I can buy more. My crafty goals for the upcoming year is to finish some scrapbooks that I have started. I love that collage! What a great way to put a bunch of your memories all in one place. You should totally print that out and make a layout of it (if you haven’t already, lol)! But looking through your layouts and pages gives me much hope that i can do it! Just wanted to drop by and say Howdy and wish you more memories and continued success in 2011! My crafty goals are to try out new techniques and new product. Love your work. My goals this year are to get my scraprooms in order, get my Studio classes up and running, and just enjoy the process. I love creating and teaching and am hoping that 2011 is a great year for classes and fun. This year I plan to spend more time exploring various art mediums and working on a daily sketchbook/journal project. Looking for relaxation and artistic joy for 2011. Girl, you accomplished so many things this last year!! Congrats and thanks for sharing. I think 52 layouts are do able, I think I’m going to make that my personal goal to but I want to get more mini’s done, those are so fun. Happy New Year!! I’ll post your giveaway on my facebook even though there’s only one more day. Ok my scrappy goal is to take and complete the soul restoration class (online) with the Brave girls camp!!! Soooo looking forward to that!!!! And I am posting this on facebook!!! I love reading your blog even though I don’t leave comments very often!!! I read every post! I also thought at your last post that you need to update you pic in the corner because girl you have lost some weight!!! Looking good!!!! My goal would be to clean and organize my scrappy space so I can actually try to accomplish something this year. I would also like to actually get together with friends to scrap. We always say we are going to, but never seem to make the time. Oh what is my goal…. To actually find more time to scrapbook because I have 3 boys and I am SOO far behind with them. I Enjoy looking at other’s ideas and actually sharing some of my own. I love the enjoyment from other people when they look at my albums, I then think it is all worth it. My kids LOVE looking through their albums. Please continue to share because we all love it! Happy New Year to you and Happy Scrappin’! I’d love to finish up my vacation albums of which I have one less that 10 pages away from finishing and three not started. I’m back, I just shared in my FB wall your post about this giveaway!!! To dig out my scrap room and finally do some purging. Will share this giveaway around the net too. My goals are to make more layouts and do more challenges, so I try more techniques. seriously fabulous layout girl! always love your work!! !